This waterfall is fairly well known locally. Located on top of Unaka Mountain, the drive and scenery to and from Red Fork Falls is spectacular, especially in the Fall when the views from Unaka Mountain rival anything in the Smokies. This is a spectacular cascade just below Red Fork Falls. 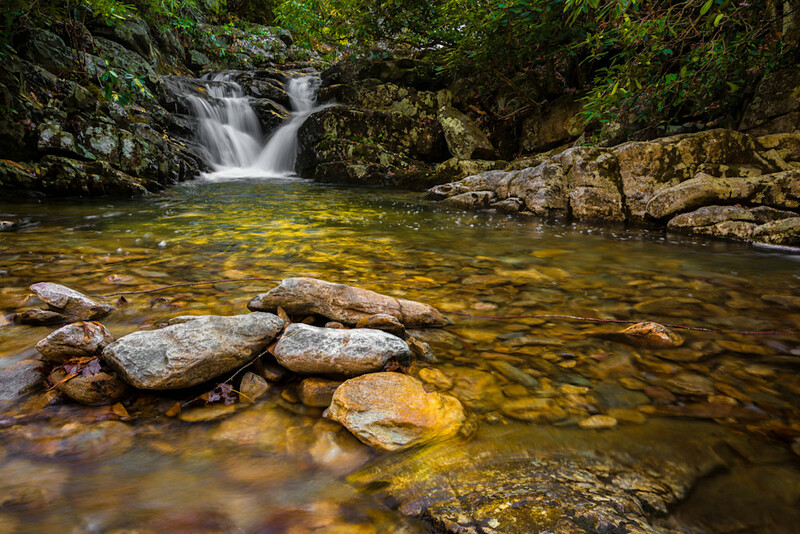 A stunning prize awaits the truly adventurous hiker who makes the trek to one of Unicoi County’s majestic waterfalls. The glorious view of these cascading natural wonders is well worth the trip for the careful and conscientious hiker. Located in the Limestone Cove Community, this cascade is just below Red Fork Falls is approximately 80 feet in height and is one of the most scenic falls in the area. Upper and lower Rock Creek Falls are 40 feet in height, and are located in the Rock Creek Recreation Area. Located in the southern part of the county, Spivey Falls is on private property, but makes for beautiful pictures from the nearby parking area.